If history has taught us anything about franchises, it’s that you have to keep them good to keep bringing people into the theater. Any movie series that reaches a fourth or fifth installment is bound to start running out of steam soon, and should be expected to hit rock bottom with the next installment. At this point, however, it seems as if the Mission: Impossible series will not be continuing this trend. After the Impossible Missions Force is disbanded by the U.S. government, former agent Ethan Hunt must track down a group of rogue operatives called the Syndicate: a deadly organization hell-bent on working against the interests of western nations. 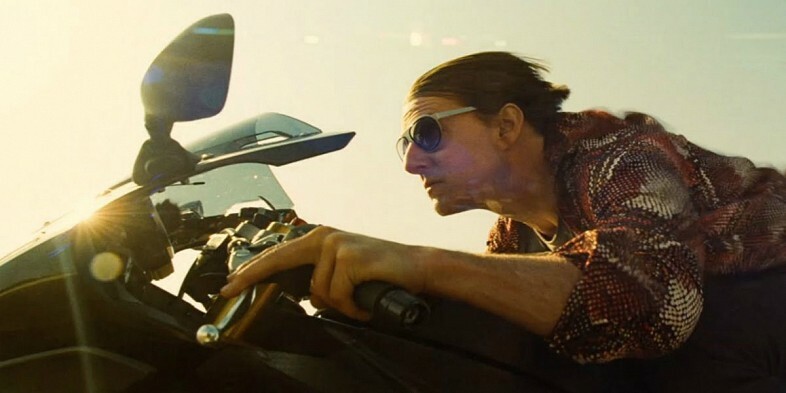 Despite a few expected hiccups, Mission: Impossible – Rogue Nation deftly mixes high-flying action and old-fashioned spy movie thrills to bring us one of the best blockbusters of the summer. It’s a series highlight, and an indicator that the Mission: Impossible train is not slowing down anytime soon. One of the most notable additions to this fifth installment is an intriguing story. At first glance, the premise doesn’t look like much, but it leaves plenty of opportunity for plot twists and great tension-heavy moments. It’s everything you want in a good spy movie. Of course the gadgets and the action are there, but the movie never relies on the two. It’s confident enough with its own story, and it manages to keep the audiences on their toes by defying a few stereotypes. Tom Cruise returns as Ethan Hunt. And of course, like any self-respecting spy movie, the action is well utilized and builds massive amounts of tension. Something that Mission: Impossible has usually done very well is something it actually exceeds at this time around. Yes, action is supposed to be exciting, but there’s no point to it if there’s no tension being built. But when you see Ethan Hunt hanging off the side of a plane, you’re practically holding your breath. Sometimes these moments are nail biting, and other times, they’re fall down funny. No matter what the situation is though, every action scene is done with purpose and is masterfully executed. But a true Mission: Impossible movie would be nothing without its cast of characters. Tom Cruise is undeniably the main focus of each movie, but the supporting cast (both new and old) provides solid entertainment when Cruise is nowhere to be found. Simon Pegg continues to carve out a spot as the franchise’s comic relief, Jeremy Renner plays a competent and entertaining sidekick, and Ving Rhames still kills it as Luther the tech guy. The addition of Alec Baldwin is a solid one, but the two best newcomers to the series are Rebecca Ferguson and Sean Harris. Ferguson’s character, Ilsa Faust, drives much of the story’s mystery and serves as a well-developed female lead, something that the spy genre is dreadfully lacking. Finally, Sean Harris plays a solid antagonist to Tom Cruise’s Ethan Hunt. Even though Ilsa Faust is a well-developed character, she still falls prey to classic spy movie sexism. I mean…really, people? Is it so hard to not sexualize women? We should be past this by now. The next time you think of having your female character emerge from a pool in a bikini or stretch her exposed leg out from beneath her evening gown to fire a rifle, just don’t do it. *Sigh* is this really necessary? And even though Rogue Nation’s story is complex and interesting, it can sometimes get tangled up in itself. This causes the movie to go on just a bit longer than it needs to. It’s only a minor annoyance, but it’s still noticeable. I’m always ambivalent when movies like Mission: Impossible hit theaters, but because of this installment, I’m eagerly awaiting Ethan Hunt’s next adventure with the IMF crew. If you have any interest in this movie whatsoever, I’d highly recommend you check it out while it’s still in theaters. What did you think of Mission: Impossible – Rogue Nation? “Simon Pegg continues to carve out a spot as the franchise’s comic relief” – I mean no offense when I ask this, but did we watch the same film? I get that mentioning certain aspects of this movie would spoil it, but Simon brought so much more to this film than comedy, all other characters has just as many comedic moments. Benji was more than the funny guy in this film, it would be nice to see reviews that reflect this. I agree he was an important part to the story and they did a lot to flesh out his character. But in my personal opinion, he was at his best during scenes like the chase scene. He’s a great actor who brings both comedy and drama to the role, but when I think about that character, his comedy will be what stands out most in my mind.